In the domestic market has declined in gold and silver. Came under pressure again is gold and Silver. In the domestic market, gold is trading fairly flat. Currently, with the decline of 0.21 per cent on MCX gold is trading around Rs 27,641 and other hand precious metals silver is trading flat and pressurized at Rs 43189. 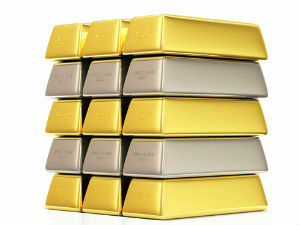 Why Bullion Trade Red Flag today? The rupee has gained today. The decline in the international market also has had a major impact. In addition, many major figures in America today are coming soon in fact precious metals turn to red color today. Now Advices to HNI Trader at around 6 pm MCX Silver will run to above levels, so you can buy Silver at 43200 with in july delivery Targets 43350, 43500 Stop Loss 43000.